We are intentional about inventing new experiences, or replaying great ones, which inspire lives. Oh, and beer and food are parts of fulfilling that purpose! Primitive humans were forced to solve their own problems, and at Inventors Brewpub we build upon the shoulders of giants. At any given moment you’ll find craft beer styles represented by all four world brewing epicenters: Germany and Czechoslovakia; Belgium; England, Ireland and Scotland; and America. You’ll also find a tasty selection of gourmet burgers and sandwiches, delicious appetizers, our signature wontons known as Brew-tons, and last but not least – Poutine served three amazing ways. Our location couldn’t be more classic, across from Veteran’s Memorial Park on the shores of Lake Michigan in Port Washington. 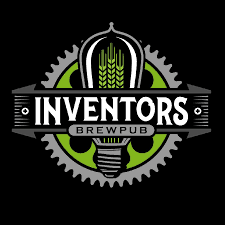 Inventors Brewpub is on the site of the old Lakeside Brewery, which opened in 1847, one year before Wisconsin became a state. We continue to invent our legacy of Milwaukee area brewing each and every day.